Braco and Greenloaning are two small, adjacent villages just off the A9 on the A822 road to Crieff. Approximately 6 miles from Dunblane and 8 miles from Crieff. 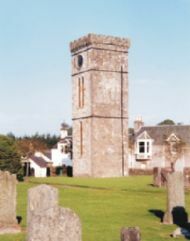 The Romans built a number of forts nearly 2000 years ago, including Ardoch at Braco, connected by a line of watchtowers and fortlets across the southern edge of Perthshire. This appears to be the first formal northern frontier of the Roman Empire and was constructed 40 years before Hadrian's Wall. The Romans withdrew after a short time. In the 140's they returned to Perthshire to rebuild at least some of their earlier fortifications, reoccupied Ardoch and stayed this time for around 20 years. Ardoch was in fact one of the largest Roman stations in Britain but now grass covered rampants and ditches are all that remains. The site is however both remarkable and fascinating. The founder of the English Football League William McGregor, was born in Braco in 1846. Community Councils - Why are we here? The model constitution and model code of conduct for Community Councils can be found on the community councils’ page on the Perth and Kinross Council website.